What to do in and around Christchurch? When travelling through the beautiful landscapes of the South Island, New Zealand, there is little doubt the city of Christchurch will be along your travel route. Christchurch is not only the largest city in this part of New Zealand but is a great base to explore the true beauty of what probably is one of the most beautiful countries in the world, at least we think so here at Hotel 115! Here are a few amazing things to do while you are in Christchurch for either one day or more! Christchurch is regarded as the Garden City and it isn’t hard to see why. With trees lined up alongside the avenues of the city, beautiful city parks and prize-winning residential gardens adding to the atmosphere, the city is as colourful as can be. Be sure not to miss the Broadfield New Zealand Landscape Garden. Christchurch has more to offer than just the gardens. If you don’t want to miss the most impressive sights in Christchurch why not tour in the city? Hotel 115 offers City Highlights tours giving you the best views in a three hour journey. Kiwi’s can’t have a great summer without eating an ice cream now and then. Their love for delicious Gelato makes it pretty easy to find one. Superman Dark Chocolate, Pops Lemon Pie and Peanut Butter & Jelly are only a few of the flavors you should definitely try out. Just swing by Rollickin Gelato and have a look for yourself. When the city life is too much for you, you can always explore the surroundings of Christchurch by going on a day hike. Whether you’re looking for the beautiful countryside, coastal views or alpine territory, there are plenty of options to choose from. Just run down to the iSite and get inspired. The alpine scenery in the background is one of the reasons why Christchurch attracts a lot of travellers. Explore the alpine terrain by going on a four-wheel-drive adventure. Safari tours offered by Hotel 115 include a jet boat ride and a Kiwi-style barbecue lunch. The expansive network of scenic road and off-road trails in the Canterbury region makes cycling an attractive and great way to explore. Plan a day trip in the Port Hills or go out on a cycling adventure by challenging yourself with the Alps 2 Ocean Cycle trail or St James Cycle trail. The culture of New Zealand is defined by the traditions of its native people. Anyone who truly wants to experience New Zealand will have to get an insight into Maori culture. Book the Maori Culture Experience tour offered by Hotel 115 to participate in an ancient traditional evening. If you’re an adrenaline junkie like we are, you will probably want to go out and have an adventure during your stay in New Zealand. 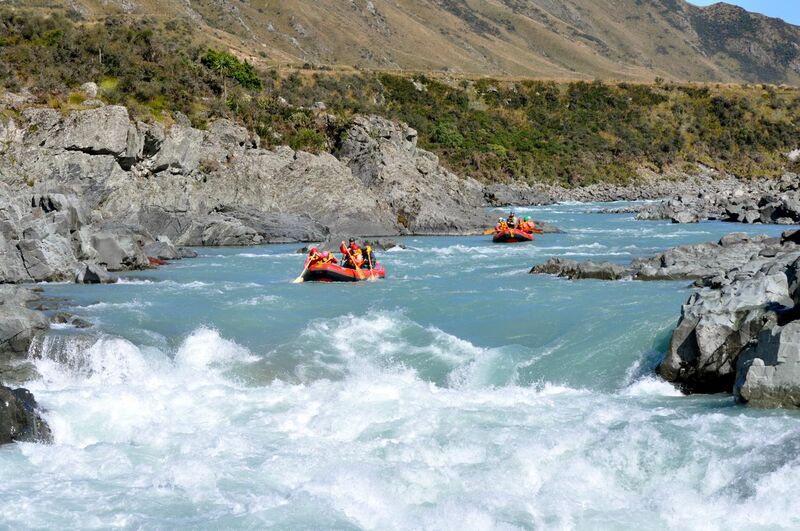 Rafting down the Rangitata Gorge, canyoning, jet boating at 90 km/h, Heli-hiking or skydiving. Plenty to get your heart pumping! Christchurch is one of the best destinations for a family holiday. With beautiful natural landscapes around, there are plenty of opportunities to have a picnic. Hike Orton Bradley park, cycle near Port Hills or kayak to Quail Island and spend the afternoon in one of the hidden gems. Do you prefer staying closer to the city? 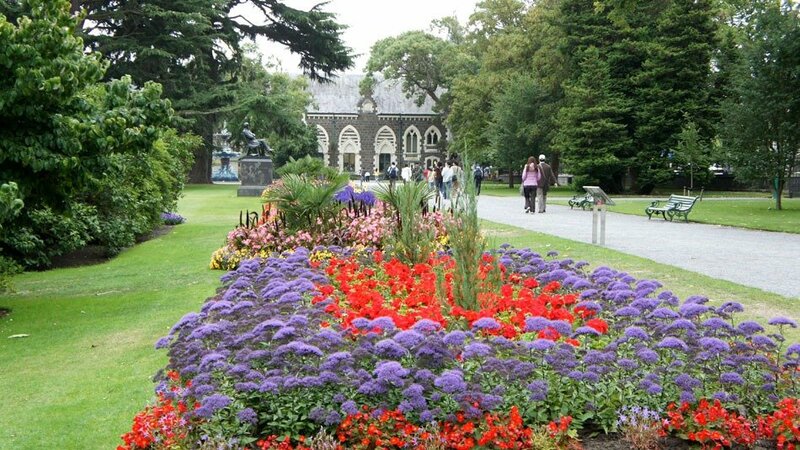 Why not have a picnic in Botanical Garden, the green oasis of Christchurch? Encountering a whale is on most people’s bucket list. If you haven’t ticked it off yet, you have the chance to do so while staying in Christchurch. Hotel 115 offers the Kaikoura Tour, a full-day whale watching tour giving you splendid sights on seals, dolphins, albatross and whales. If you want nature, look no further. Christchurch has some of the best natural landscapes to offer. National parks of Arthur’s Pass and Mount Cook are only a small distance away while Akaroa gives you the chance to swim with one of the rarest dolphins alive. However, no trip to New Zealand would be complete without spotting the famous Kiwi. Riccarton Bush, an ancient native forest, and the kiwi’s habitat are only a few kilometres away from the city centre. Watching Lord of the Rings and not being stunned by the scenery? Impossible! Well, we’ve got good news for you. Lord of the Rings was mainly filmed in New Zealand and you can make a journey to all great filming locations. Check out Hotel 115’s awesome Lord of the Rings tours.